Snapchat, the controversial social media platform today released a couple of new features to its users across the globe. 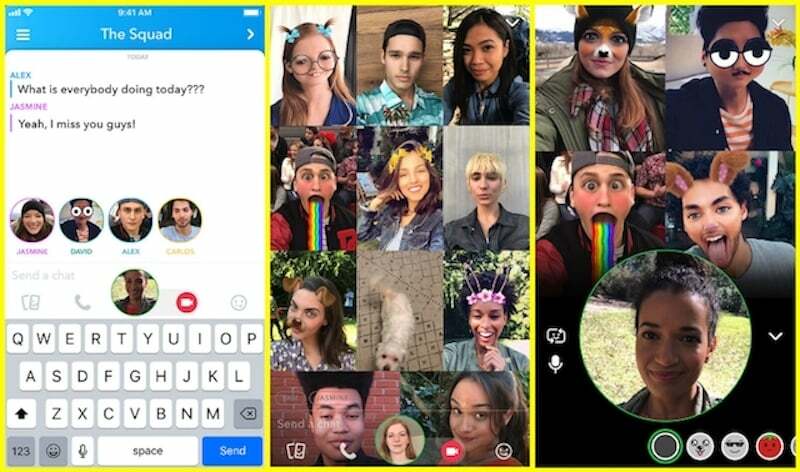 Snapchat, in a blog post, has announced the rollout of group video calling and the ability to tag friends. The latter could be the first feature it lifted from its rival Instagram. Tagging friends on the posts and stories are something Facebook and Instagram have been offering for years, but Snapchat has finally rolled out the tag feature. Going forward, Snapchat users can tag their friends on the stories. And coming to the group video calling feature, a user can make a video call to 16 members at the same time. To start a group video call, users have to press the video call button in the group of people of they can simply lift the call when someone initiates the group call. If you take the lead and initiate a video call, every member of the group will receive a notification about the call. And the best part of this group video calling is that you can use all the filters and lenses while on a call, which makes the conversation appealing. “Today, we’re making Chat even more fun. Now you can video chat with up to 16 of your friends at one time. Just tap the video camera icon in a Group Chat to get your friends together! Friends in the Group Chat will receive a notification inviting them to join,” said Snapchat is the blog post. Snapchat has added the ability to turn off your camera when on the call and still you can carry on the call with your voice only. And if you want to place only a voice call, you can do that by hitting the phone icon from the group page, and Snapchat is limiting only 32 people to join the audio call, while for video call, the number is limited to 16. Instagram also appears to be working on video calling feature. As stated, both the features are being rolled to all the Snapchat users in the next one week.